Amish fiction has become very popular, even making the besteller lists recently. Perhaps the farm or village settings, close-knit family life and gentle romance make the simpler Amish lifestyle appealing as a pleasant change of pace from our busy suburban lives. Brunstetter, Wanda. Lydia’s Charm; On Her Own; A Sister’s Hope; White Christmas Pie. Clark, Mindy Starns. The Amish Midwife. Ellis, Mary. Abigail’s New Hope. Fisher, Suzanne Woods. A Lancaster County Christmas. Fuller, Kathleen. An Honest Love; A Man of His Word. Gray, Shelley. Autumn’s Promise; Spring’s Renewal; Winter’s Awakening. Lewis, Beverly. The Judgment; The Missing; The Secret; The Telling; The Thorn. Woodsmall, Cindy. The Bridge of Peace; The Hope of Refuge. What will the future look like, over the next 100 years? 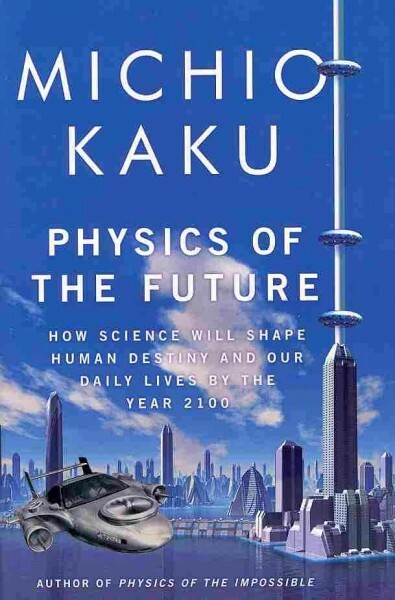 Physicist Michio Kaku tries to answer that question, based not on science fiction, but on serious study and interviews with over 300 scientists. While not as fun as reading science fiction, this clearly-written book may inspire your imagination. With predictions for advances in energy, medicine, space travel, even contact lenses that help you use the internet, I’m most looking forward to riding in a magnetic car hovering above the ground.